Have a POP3 email account? IMAP (Internet Message Access Protocol) support was launched in October 2013. Since then we received an overwhelming response for POP3 (Post Office Protocol) support too. This was much to our surprise considering many new email providers are moving away from POP3, and onto IMAP, due to the performance benefits and because it’s a better fit with the way email is accessed today on multiple devices. But….that’s not all! Read through to the bottom to see what folder manipulation is all about. What the heck is POP3? POP3 is an abbreviation for Post Office Protocol 3. It’s the third version of a widespread method of receiving email, dating back to the 1980s. 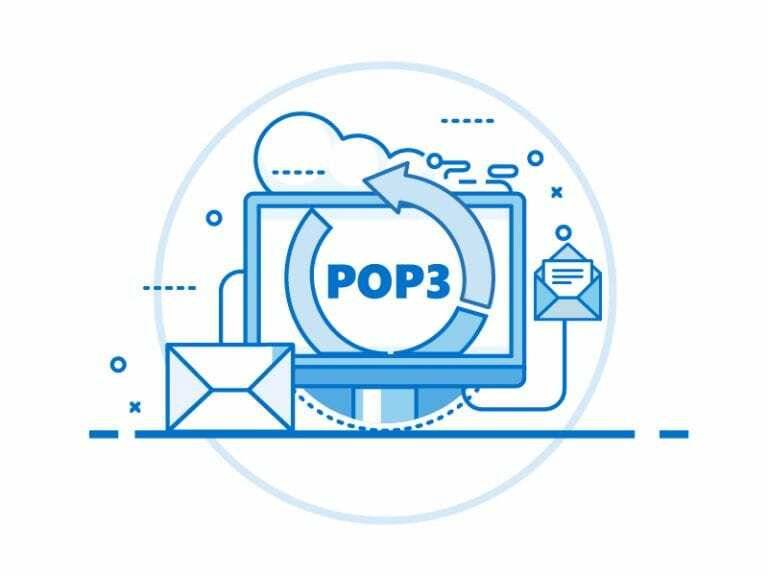 Much like the physical version of a post office clerk, POP3 receives and holds email for an individual until they pick it up. And, much as the post office does not make copies of the mail it receives, when an individual downloads email from the server into their email program, their copy of the email on the server is removed. Most clients however, including Mailbird, have an option to leave the message on the server, either temporarily or permanently. Outlook.com (formerly Hotmail.com) supports POP3, but recently introduced IMAP support. “One of the major issues with Microsoft’s Hotmail replacement, Outlook.com, is you could only access it on the web or, with email clients, through the POP3 or Microsoft’s EAS protocol.” – Lifehacker. A lot more devices and services use IMAP, and now so does Outlook.com. Even Windows 8 Mail no longer supports POP3. Despite the shift, we couldn’t leave out those of you longing to use Mailbird with your POP3 email accounts. If we had a dollar for every email we received after the IMAP launch requesting POP3 support, we’d be rich. We aren’t, but we’d like to give all of you the opportunity to use Mailbird anyways and are eager to hear your response given this major update. Where IMAP keeps your email synchronized between all connected clients and web interfaces, POP3 does not. Any changes you make to your emails in one place, like marking them as read or moving them to another folder, will not be reflected in any other client connected to the same email account. POP3 treats an email account as one giant folder, so even if you moved your emails to other folders in your web interface, when accessed through POP3, it appears to the client as just residing in one big folder – the inbox. 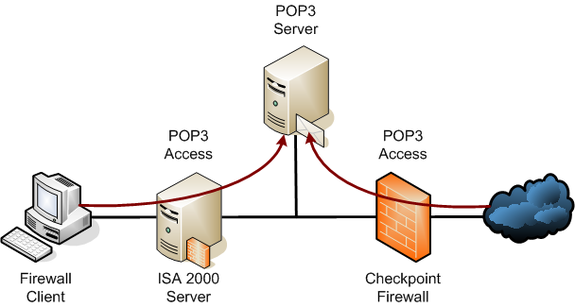 Some POP3 servers only allow one connection to a given mailbox at any one time, whereas IMAP allows for simultaneous access by multiple email clients. With most clients, emails typically download slower with POP3, due to all parts of an email being downloaded at once, whereas IMAP allows clients to retrieve individual parts of an email when needed. Depending on your client’s POP3 settings, the downloaded email is typically deleted from the server after it’s been downloaded to your client on your PC. For those of you not so interested in the technical side of POP3 support in Mailbird, you might ask “What does this mean for me?” With POP3 being the next highest requested feature since launching IMAP and Multi-Account support, many of you have not been able to use Mailbird. Remember a long long time ago when we publicly launched Mailbird and all you wanted was to be able to add/edit/delete folders directly from Mailbird? Folders are important in helping us organize the copious amounts of messages that flood our inbox. Before you had to manipulate folder creation directly from the web, so for Gmail you would have to add/edit/delete folders directly from Gmail on the web, then sync Mailbird with Gmail’s server. Now you can do it all directly from Mailbird! Yes, we admit this should have been there ages ago, but happy to have it out now. 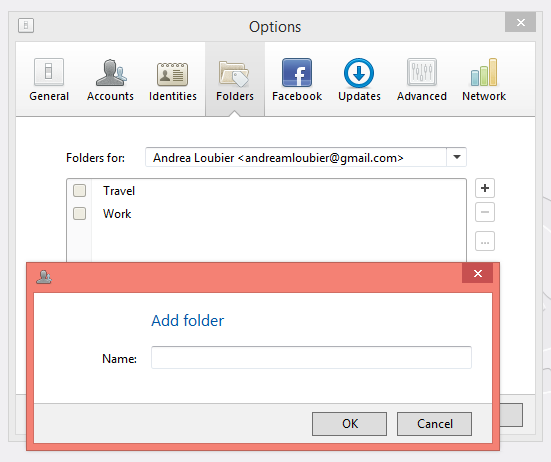 Click the + to add a new folder to the selected email account. Click the – to remove a selected folder. Click the … to edit a selected folder. • Pick POP or IMAP but don’t use both – it can cause you a lot of problems! Tell us what POP3 email provider you are going to test in Mailbird in the comments below. Remember to share this news with your fellow colleagues that also use POP3. Just click on the social share buttons below. Did you know that you can also invite friends directly from Mailbird under the ‘Invite Friends’ menu option? 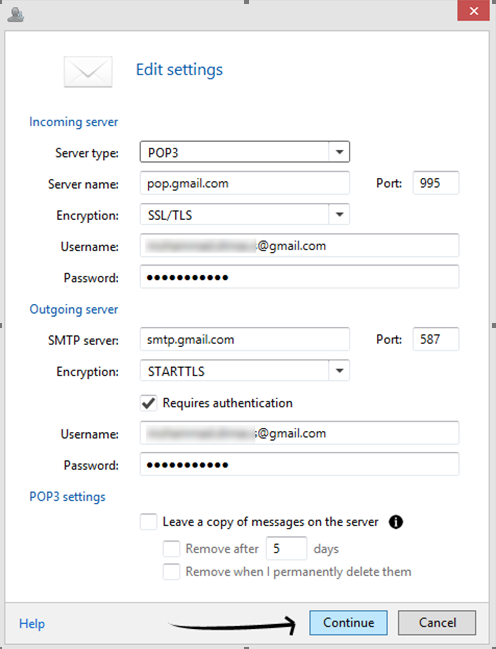 Need help setting up POP3 in Mailbird, check out our POP3 guide here. Editor’s Note: This post was originally published in May 2014 and has been revamped and updated for accuracy and comprehensiveness. 14 thoughts on "Have a POP3 email account?" Can I add names to multi accounts yet, instead of pictures? In the Boonies here. Hughesnet is my provider. mail.hughes.net. I think I can configure things to make it work, but I ain’t got the time! Hi! I’m a new user an I am very much thankful for this app. I have added my accounts under IMAP and was wondering if I could try to change that to POP3? Thank you! Hi, with the pop3 option can Mailbird work with email headers on the server e.g. choose which messages from the header details to download and delete those headers which are considered as spam from the server? Also how does Mailbird handle image viewing from downloaded email. Does it have it’s own dedicated viewer or does it use Internet Explorer to display images? Just bought Mailbird and I’m having a hard time switching my accounts to POP3. Any ideas. I have used The Bat for over 12 years and never had any problem configuring it. Its better if Mail bird guide Gmail user with 2 step verification to enter application specific password instead of regular password. Messages are not removed from server after x days if “Leave a copy of messafes on the server” option is checked. Oh My, I’m trying Mailbird now a few months and I like it. I then get a notification from my email provider that my server is full and can no longer accept incoming email. I log in and see that MailBird is syncing the Archived folder on my server. I thought archive means archive. It’s appearing I can not create a local folder to move email to for saving without it being created and then being stored right back on the server. How do I stop the archive folder from syncing and being created on the server. Contacting Mailbird has received no response. I can’t imagine this isn’t a problem for everyone. Thanks for adding this feature. For some reason, I thought this feature still wasn’t out yet. I’m trying to get my entire office to start using Mailbird, so we’ll see how that goes! Which me luck. Interesting. But–traditionally–POP3 only picks up new messages from the Inbox of a mail server… except for Gmail. Gmail has always only treated all mail as being in one big “folder” (label). Maybe some few other services started doing it because Google started to–it has advantages and disadvantages, but I haven’t seen any personally that specifically do that (neither my ISP nor Yahoo! do it); mostly, it’s not nice to pick up new messages that you’ve already filtered out of the Inbox because you knew you didn’t want to see them in your POP client. Now, the POP client on the other hand always receives new messages into its Inbox (unless you filter locally into other local folders, which have no relationship to any server folders). Still, interesting article. Is there a way to move email between account, we originally used pop and now there are items in the pop inbox no longer on the imap server. Hey! 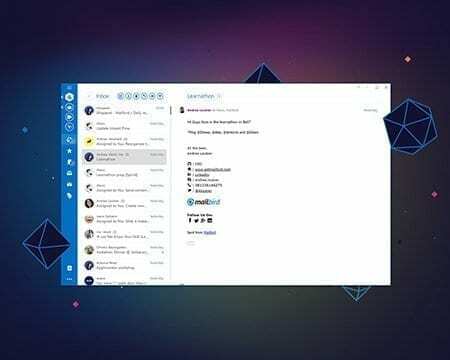 Before you leave, would you like to get the Best Email Client for Windows?